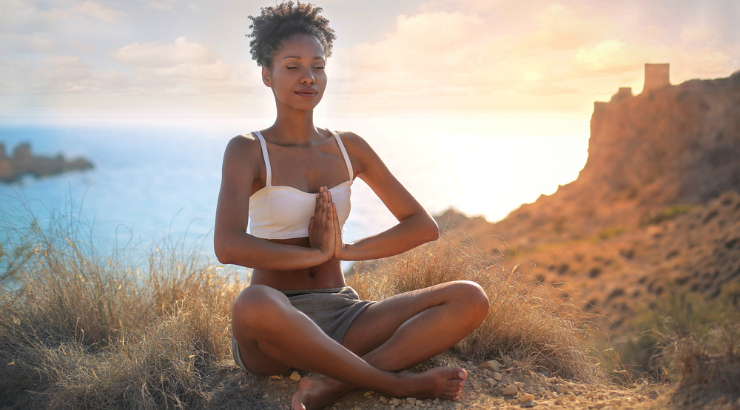 Namaste 2019 And Here Are The 9 Yoga Hotels For Travelers! The best 2 investments in the World: exploration and inner peace. Yoga is a cure-all miracle, created in human beings by breathing, movement and mantras. The best yoga centres in the world attract the attention of people willing to experience this miracle. We prepared a map of the most preferred yoga training centres in the world for the ones wish to experience peace, self-knowing, stretching and exploration. If you are eager to enrich your holiday with peace; read this first, and then take the first step. Located in a silky beach of Morocco, Paradis Plage is the best yoga centre you can visit in North Africa. Built just across from the ocean using wooden and panoramic windows; the centre offers three separate classes daily including the ones for beginners. In the facility where you could enjoy activities such as beach volleyball, swimming, water sports; the accommodation prices start at $238. If you say, “I’ll do my stretching, watch the scenery and enjoy the ocean”, the Paradise Plage is just for you. 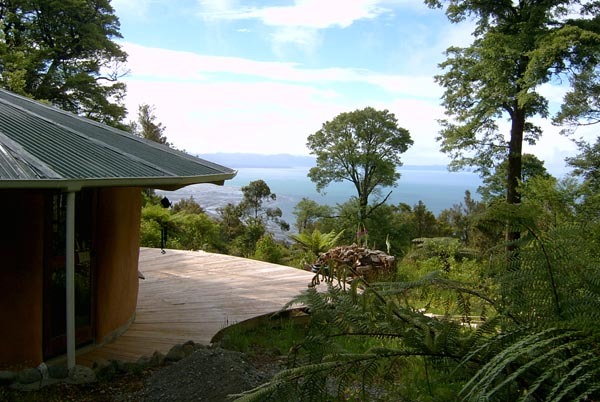 Anahata in New Zealand welcomes the yoga lovers from a hill with 650-meter altitude in Golden Bay. You will be speechless against the magnificent ocean scenery having all kinds of blue tones and green valleys. In Anahata Yoga Centre offering personal sessions and daily activities all year long many traditional yoga training events such as Hatha, Raja, Bhakti and Karma are held. The major speciality of the centre is Satyananda. Moreover, Anahata also offers accommodation options in straw houses special to the yoga lovers and tent sites in a gorgeous atmosphere. In addition, completely organic food directly from the centre’s garden and the local farmers are cooked in their kitchen. Yoga training package prices range between $75-90. The prices for special yoga sessions varies between $75-120. If you prefer tent sites for accommodation, you can enjoy the great atmosphere paying $70 per person. Of course, accommodation is not limited to tents. You can have shared rooms for $90, single rooms for $115 and doubles rooms for $195. It’s up to you! Absolute Sanctuary Yoga is for the ones willing to experience exoticism and feeling the yoga to the bones at the same time. 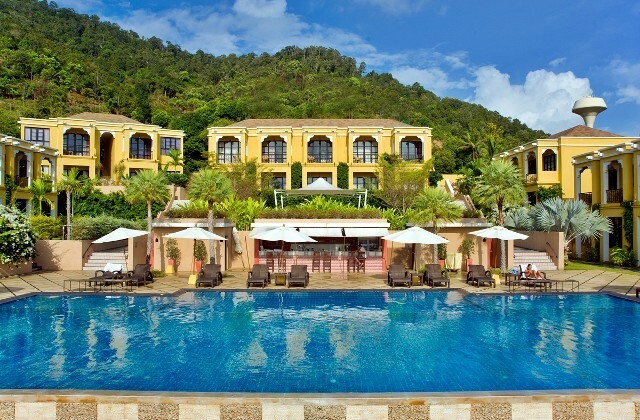 This place is famous for its natural cures in addition to its best SPA opportunities in Thailand. We are talking about a healing house with alternative medicinal methods. Moreover, Absolute Sanctuary; pulls the traveller yogis like a magnet with its countless yoga classes such as Hatha, Ashtanga, Pranayama and Vinyasa. Its panoramic ocean view makes the yoga centre appealing. The exotic fruit and delicious Thai meals prepared with authentic presentations are the cherries on top. Absolute Sanctuary Yoga offers yoga lovers a package including accommodation and unlimited yoga practices for $370-517. Offering a wide range of alternatives for those who prefer luxurious accommodation with its villas and suites Farm Yoga also provides free yoga sessions for the guests. Moreover, Farm Yoga Facility is not only appealing for the yogis but also welcomes the ones wishing to spend quality time in golf facilities, healing temples, and fitness facilities. The accommodation prices vary according to the preferences, but you can stay in one of the luxury villas for $342. Even though yoga is universal, we can call India the “homeland of yoga”. The country is the home of the best yoga facilities in the world. Shreyas Yoga Centre established on 25.000 square meter area with its enormous gardens, organic agriculture and healing fields are one of the most preferred places by those who want to present the ethnical beauties and experience a perfect yoga practice. It also exhibits its difference with its eternity pool, steam room, Jacuzzi and the walking tracks. In addition to yoga sessions, the centre serves meditation and massage; and Ayurveda cures such as abhyanga and Shirodhara. 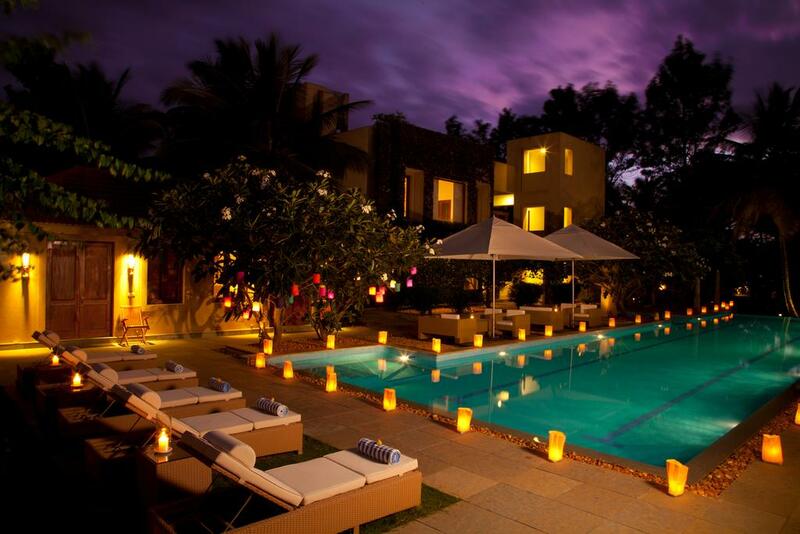 In Shreyas Yoga Facility which is capable of accommodating 25 persons, the prices start at $330 per person. The prices are like $430 for double rooms and $680 for three bedroomed houses. If you are willing to take a deep breath in the peaceful Aegean weather under olive branches, you are at the right place. Let’s take you to Silver Island of Greece. It is located in one of the calmest spots of Greece which could be crowded due to the tourism boom in the season. 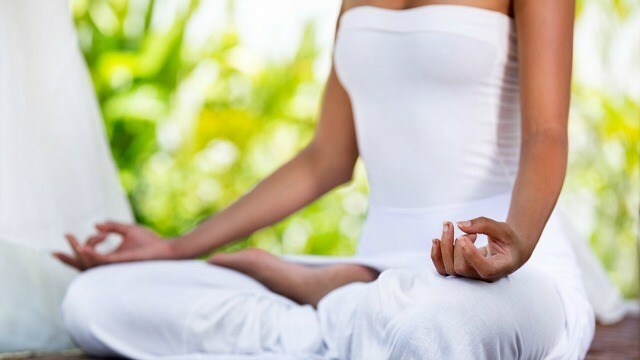 Providing all types of yoga activities, the facility is located on a 60.000 square meter olive forest. During the yoga practices, whenever you turn your head, you’ll see the miraculous olives called “Immortal tree”. And practising yoga in the stunning sunset scenery is priceless. Alternative accommodation options could be found in the facility as the main house, a villa and two traditional village-type houses. 7- You can’t give up luxury? Then we’re heading to Parrot Cay Facility! Parrot Cat located in Turks&Caicos Islands in the Caribbean is a paradise for the ones willing to practice yoga on a beach. 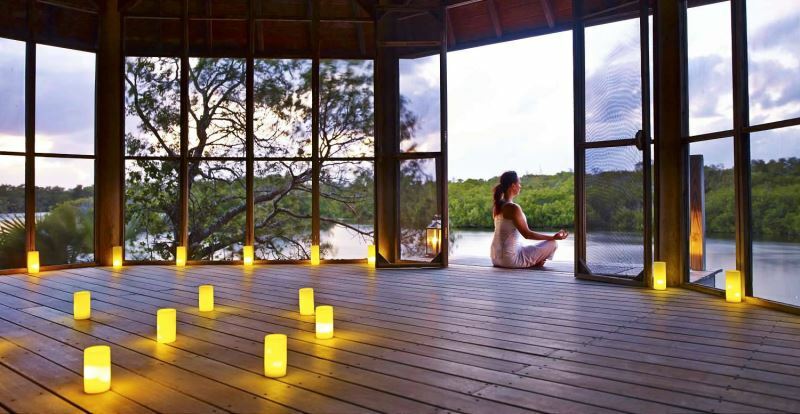 Across from the Atlantic Ocean, Parrot Cay offers special cures and healing thermal spring in addition to its peaceful yoga practices. 120 square-meter yoga room, Japanese baths and its open Jacuzzi in the garden make Parrot Cay more appealing. In this luxurious facility, accommodation prices are pretty above the standards. If you prefer the luxury one, you can stay in the terrace room for $500, in the 5 roomed villas for $13.700. 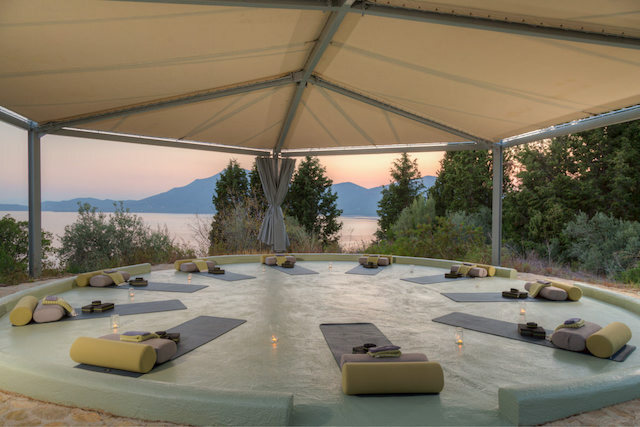 Would you like to combine the peace of yoga with the sun, sea and sand? Those who want to have a fun Mediterranean holiday including yoga can prefer 38 Degrees North Facility located on Ibiza Island in Spain. This facility is one of the most luxurious yoga centres in Europe. In the facility, Pilates classes are provided in addition to the special yoga practices in an amazing beach scenery. 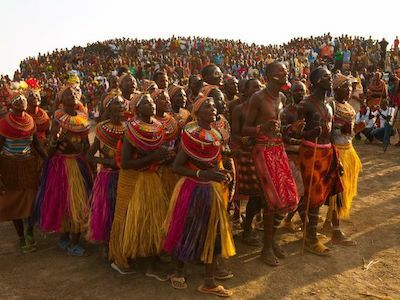 The accommodation prices are around $2.550 per person. Is yoga special to warm climates? Never! 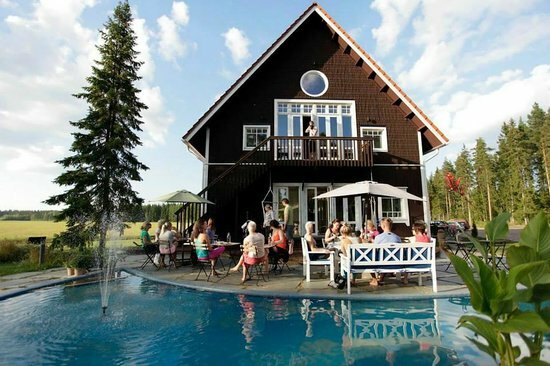 You can experience it by going to Loviisa, one hour from Helsinki, the capital of Finland. 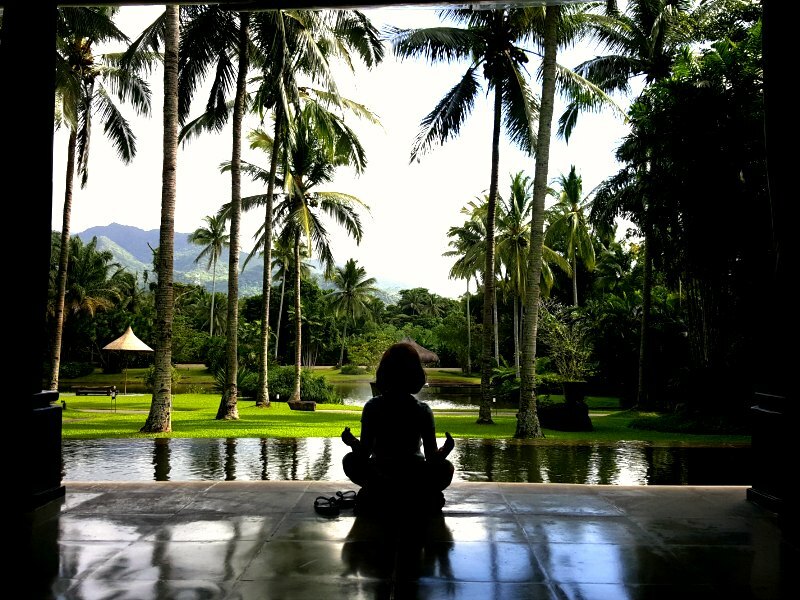 Devoted itself to resting, stress therapy, relaxing and organic nutrition, Villa Mandala hosts yoga lovers by organizing five yoga seclusions every year. Every seclusion period, activities in nature are also organized. A quiet jungle trekking, diving in the lake and bike-riding tours etc. Being capable of serving up to 15 persons, Villa Mandala has a traditional Fin sauna with wood heating. 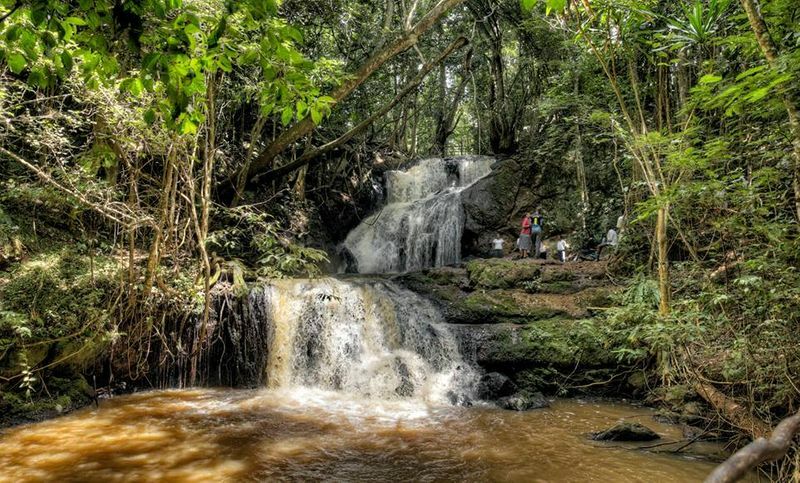 If you are one of those looking for a place that you can feel the nature and tranquillity, add this place to your list. Accommodation prices are between $250-400.